This topic contains 4 replies, has 2 voices, and was last updated by Heiner Moderator 6 months, 3 weeks ago. 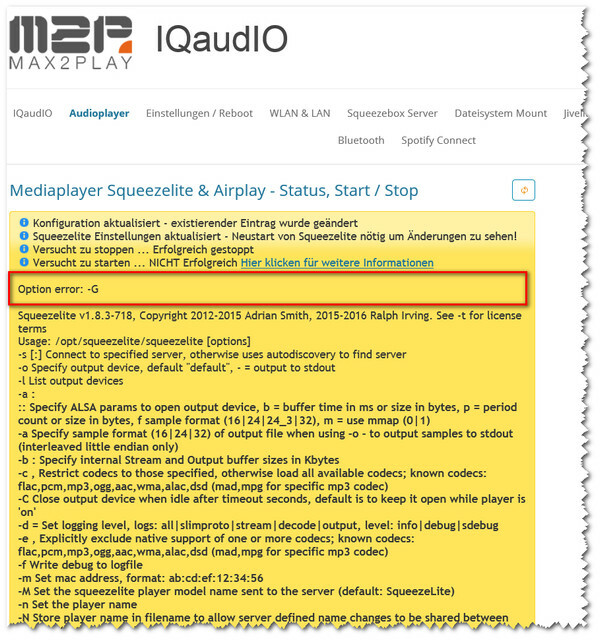 But when I set it for my max2play squeezelite player in the options settings, the service is not starting anymore. What can I do to use this parameter=? Your info in the yellow text should be more detailed. Only when turning the Player off, also the Pin gets Low. Is there a way to auto turn off the Player when pressing pause=? Or is there a plugin available to run a script on pause? – if not how could I write a hook? The parameter -C <seconds> automatically disengages the output device after playback is paused for a few seconds.